Anyone with an interest in what our troops are doing overseas will find this government manual an excellent source of information. 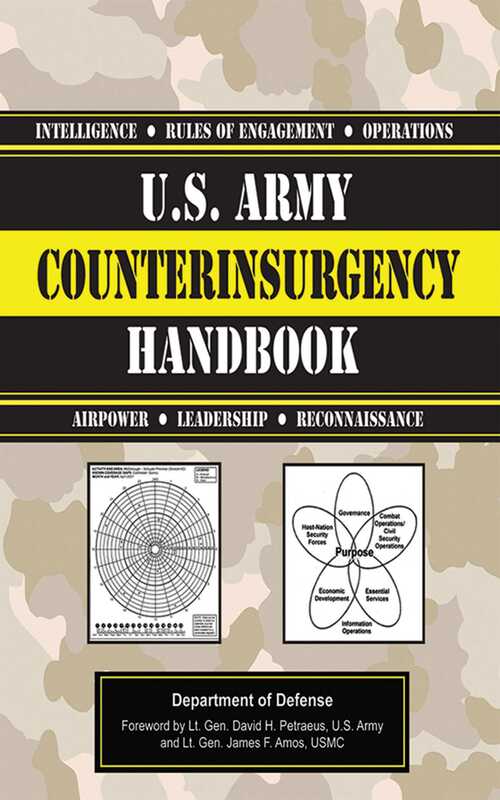 It gives a detailed breakdown of what an insurgency is, how one starts and builds, and what our forces must do to overcome it. Find out the key roles often taken by insurgents; how to carry out intelligence, surveillance, and reconnaissance missions; and what ethical questions arise in handling these types of situations. Historical examples and anecdotes of both successes and failures provide an overall perspective. Dozens of illustrations and charts break down the information for civilians, and appendices cover legal issues, translation difficulties, airpower, and more.